One of my favourite moments last year was attending the Relaxed Performance of our pantomime, Snow White and the Seven Dwarves, at the Birmingham Hippodrome Theatre. We’d been preparing for this moment for a long time, and as I looked at the happy faces of the children and their families, I felt myself welling up. I realised how much it meant to these families and that our hard work had been so worthwhile. I started working as the Creative Learning Manager for the Birmingham Hippodrome Theatre eight years ago, in a brand new post and department. I immediately started looking at how to give more young people with learning disabilities and secondary special education needs the opportunity to enjoy the live performance experience. As a former deputy head’s wife at a residential special needs school, I had seen many students develop through drama. One young girl, an elective mute, found the confidence to perform a song in one of our musicals – the first time she had used her voice in years. I had witnessed the power and magic of theatre with my own eyes and realised how it can change and transform people’s lives, both through watching and taking part in shows. I felt making the theatre more accessible to those with special needs should be a major part of our education strategy at the Birmingham Hippodrome. When you go into the theatre it can be very dark and noisy, and you can feel as though you have to sit still in your seat. For somebody with special needs or learning disabilities, going to the theatre can be a really difficult experience. 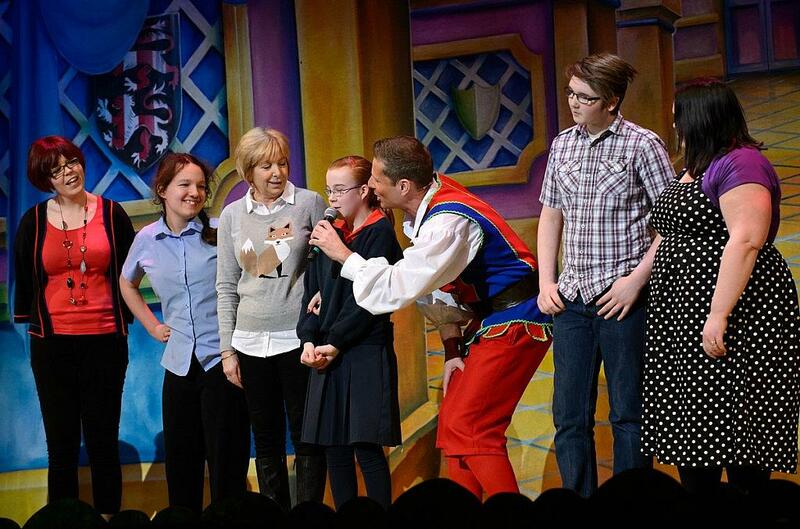 Knowing the challenges these children and adults face, we decided to put on a Relaxed Performance of our annual pantomime last year, which was specially adapted to their specific needs. The second of our Relaxed Performances, will be a performance of Jack and the Beanstalk this January, which we’ll fund through The Candis Big Give. We make sure the lights aren’t as dark,the noise isn’t as loud and the doors are kept open so the children can come in and out. We also put up caption boards to prepare the children for loud bangs and do audio descriptions for the visually impaired. This year we also have a British Sign Language signer coming to teach the children how to do sign language interpretations of songs. we change some of the script and train the cast for the performance. One of my most exciting moments last year was training Gok Wan on how to behave! 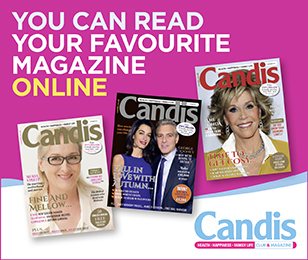 The money from The Candis Big Give makes all this possible, and gives us the opportunity to engage the imaginations of children who wouldn’t normally be able to go to the theatre. One lady said she had been waiting nine years to be able to take her autistic daughter to the theatre, and it was lovely to know we’d helped make that wish come true. I think if you can change one person’s life through the work you do then you’ve done something special, and I think at the Birmingham Hippodrome we really do change lives. The Birmingham Hippodrome Theatre Development Trust was established in 1981 to raise funds for the theatre. The Relaxed Performance of Jack and the Beanstalk will take place on 29 January 2015 and is specially adapted to meet the needs of young patrons with autism, sensory impairments and learning disabilities. An audience of more than 800 from across the West Midlands is expected. Some of the proceeds help provide sensory and anxiety-reducing toys at the Relaxed Performance, which calm and reassure young patrons. The Birmingham Hippodrome Theatre Development Trust raised £14,217 to stage a Relaxed Performance of Jack and the Beanstalk, tailored to the needs of those with learning disabilities. The money will go towards training staff, resources and breakout spaces. A fantastic initiative in which we give a £10,000 donation to one of two charities!